With only a few days left until Parliament decide whether to keep the current ban on fox hunting, I would just like to take this opportunity to urge everyone to contact their MP and ask them to vote NO to any amendments on the current ban. 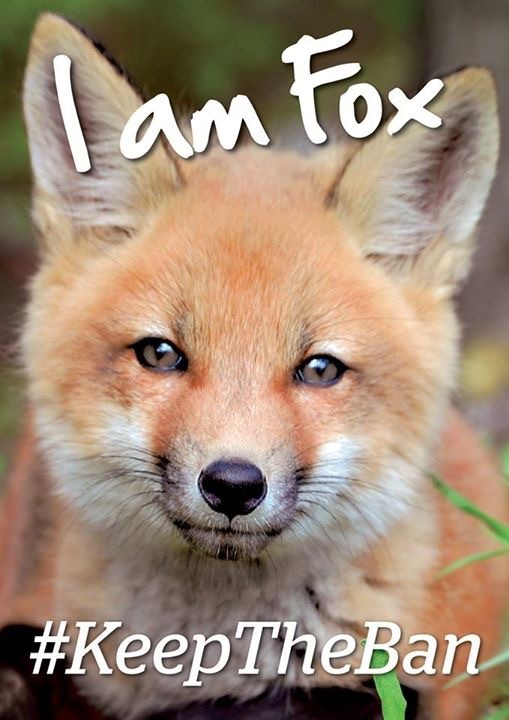 When I was in primary school, the first letter I ever wrote was to my MP asking for a ban on fox hunting. I was thrilled when this finally came into force ten years ago. Making fox hunting legal again is a huge step backwards for our country. Please stand up for these amazing creatures, and say no to this completely unnecessary blood sport that has no place in a modern society.